Our summer learning is usually light. Science is always fun for us to do during the summer especially if we focus on experiments and hands-on projects. This is why Funtastic Unit Studies-Science Unit Studies for Homeschoolers and Teachers fit right into our summer learning. This paperback book offers 20 chapters of science fun for children ages 4-13. The chapters are separated by age groups, 4-7 and 8-13. I found this helpful when choosing which unit we would work on this summer. Each chapter focuses on a specific topic. Topics include: The Human Body, Animals, Magnets, Health, Stars and Planets, Atoms and Molecules, Matter, Chemistry Fun, Light and Color, and more. Some chapters may pull information from previous chapters. I noticed this as we were completing Insects, Ages 8-13. 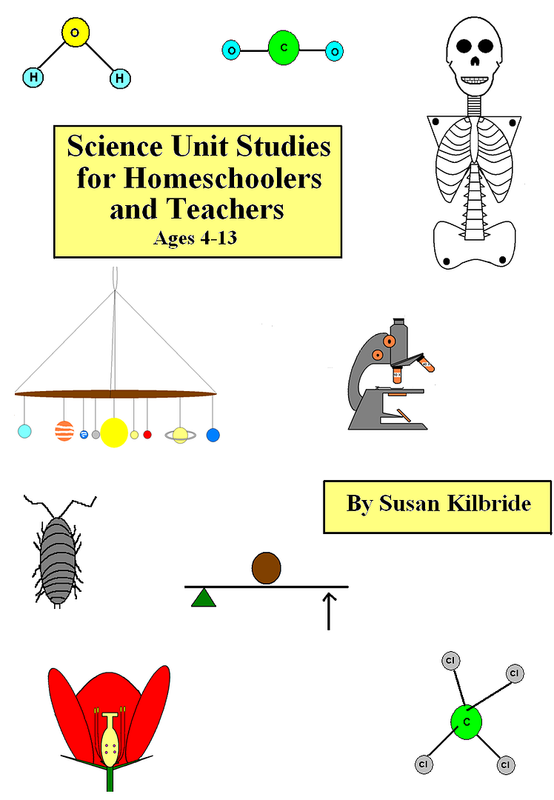 How we used Science Unit Studies for Homeschoolers and Teachers? As you all may know by now, we moved to a new state, and since we are new to the area we do not know many people. Well, right before I received this book I met another homeschool mom who has three children ages 6-13. I thought that using this book for group learning activities would be awesome. I invited her and her children to complete the insect unit with us and she agreed. I facilitated the activities with five children ranging from 6-13. We came across this beetle on our walk to CVS. It was stuck on its back and we flipped it over. We completed the activities at our library and at a local park. The children created science journals to record their findings and new information they learned from the projects. Most of the children had some knowledge of insects. They each also gained new knowledge. I know that my girls had previously learned about animal classification, but since they were younger we studied it and we didn't use the information often they needed to refresh their memory. The insect unit is broken into seven parts which includes learning about animal classification, the definition of insect, complete and incomplete life cycles, communication, defenses, and recommended movies. Each part includes an activity or experiment. One of the many experiments that we tried which did not work out for us was the purchasing of mealworms to watch them complete metamorphosis. It didn't work out because our mealworms died. Each family had their own container to take home to watch the progress, but it didn't work out for either us. I guess we are just better with mammals. Our science gatherings were a highlight this summer. The kids were checking out the mealworms when they were alive and well. The other mom shared with me that her children enjoyed the activities we completed using Science Unit Studies for Homeschoolers and Teachers. This was the only program we used during our gatherings. The children were enthusiastic to see what the activity would be for the session. I enjoyed facilitating and learning with them. I like that there is a mixture of topics and I could choose what topic I wanted to focus on versus trying to complete the projects in the order in which they were written. I am looking forward to incorporating some of the projects into our fall science program. This book is a handy resource.